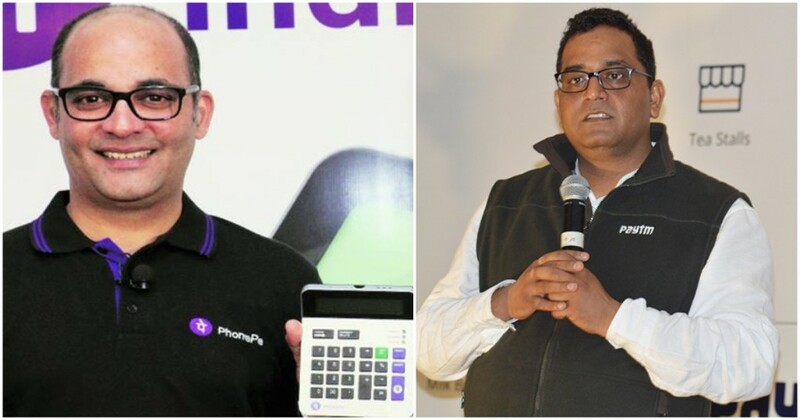 Paytm had claimed to have had a grand entry into UPI with its launch last month, but rival PhonePe says things might not be so simple. “I love @UPI_NPCI. But the 145 million transaction count is badly polluted,” tweeted PhonePe CEO Sameer Nigam yesterday. “6.3 million UPI P2P transfers between Paytm VPAs to Yes Bank VPAs. Sounds impressive. But 5.6 million (90%!!!) transfers were for ₹1 each. And only 60,000 distinct Paytm users did the transfers. That’s 105 transactions of ₹1 per user!,” he added. Nigam has since deleted the tweet, but its implications were clear — Nigam was alleging that Paytm’s UPI transactions numbers had been artificially inflated with millions of transactions that were only for a single rupee. Nigam also went on to add that these transactions were done by a set of 60,000 users, which meant 105 transactions of Rs. 1 per user. Three days ago, Paytm had claimed to have carried out 25% of the total UPI transactions in the very first month of its launch. This had been quite impressive, given how several major apps, including BHIM, Google’s Tez and PhonePe have had a head start in the space. ~25% of total UPI tx from Paytm ecosystem! There are usually spikes in usage when a new app enters the UPI fray — when Google’s Tez had launched on 18th September this year, transactions had jumped threefold in the next few days. This had been largely because of the generous incentives that Tez had been offering users to transact on their platform. Paytm didn’t respond to Nigam’s tweet directly, but hinted that the transactions might have been a result of the cash backs it had provided users for using its UPI service. “In order to continue to build what Paytm has built and in support of the digitisation agenda that our Prime Minister has, we have already said that we will spend $1.6 billion over the next three years. Some of that money will go towards educating customers to do transactions using our platform and anytime a new kind of product is introduced to a customer they need time to adapt to those platforms,” Paytm told ET. But simple cash backs shouldn’t cause users to make millions of Re. 1 transactions. Paytm does offer incentives for users to transact through UPI on its platform — an inaugural offer had promised a Rs. 50 cashback if users created their UPI address on Paytm and transacted the very same day, and another offer promised a Rs. 10 cash back on each transaction through UPI. Both these offers, though, were only valid if the transacted amount was a minimum of Rs. 50, and the second offer only let a single user avail of a cash back up to 5 times. Neither of these offers could explain millions of Rs. 1 UPI transactions carried out by just 60,000 users. It is yet unclear, though, where Nigam’s data came from. It does not seem to have been from a public source, but given how PhonePe uses Yes Bank’s VPA, and Nigam only talked about transactions from Paytm to Yes Bank’s VPA, it’s likely he knew about them through PhonePe’s internal data. We’ve contacted PhonePe about the source of Nigam’s information, and will update the article when we hear back.